At some point during Siggraph 2011 when I was pretending to be busy my Student Volunteer Team Lead lined up for a ridiculous amount of time to grab me the annual Siggraph / Pixar collectable. Despite being a ‘Cars2‘ teapot it’s still awesome; In fact, it’s more awesome than the movie. So what could be more awesome than a teapot, that’s more awesome than a Pixar movie? Kartika. The best breakfast of the week. 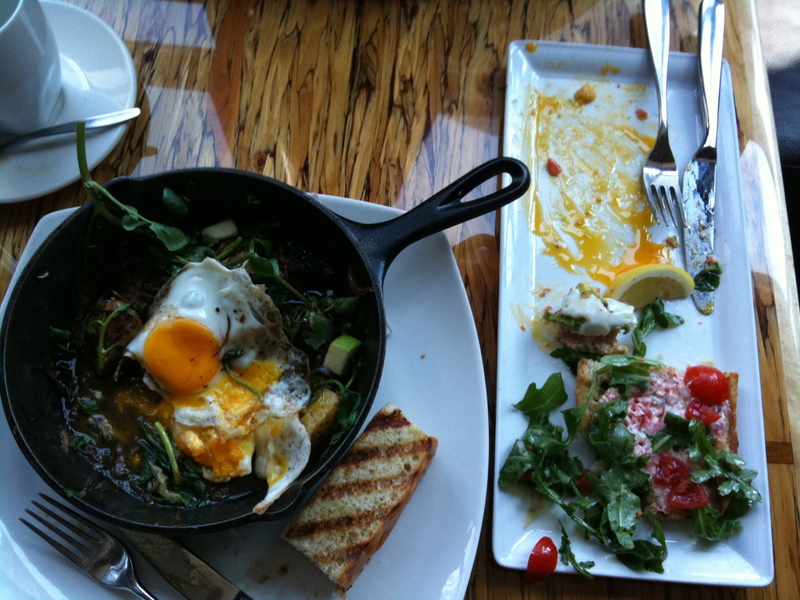 If you’re in downtown Vancouver anytime of day, MedinaCafe is just awesome. Along with a crazy good menu, it’s also ‘cool’, whilst completely unpretentious. Seeing as I looked like I’d been in a convention center for the last six days it was nice of them to let me in amongst all the trendy folk. Siggraph 2011 – Sunday pt1. Siggraph 2011 – Saturday pt2. Siggraph 2011 – Saturday pt1. Siggraph Logistics Meeting, Anaheim, May 2011. 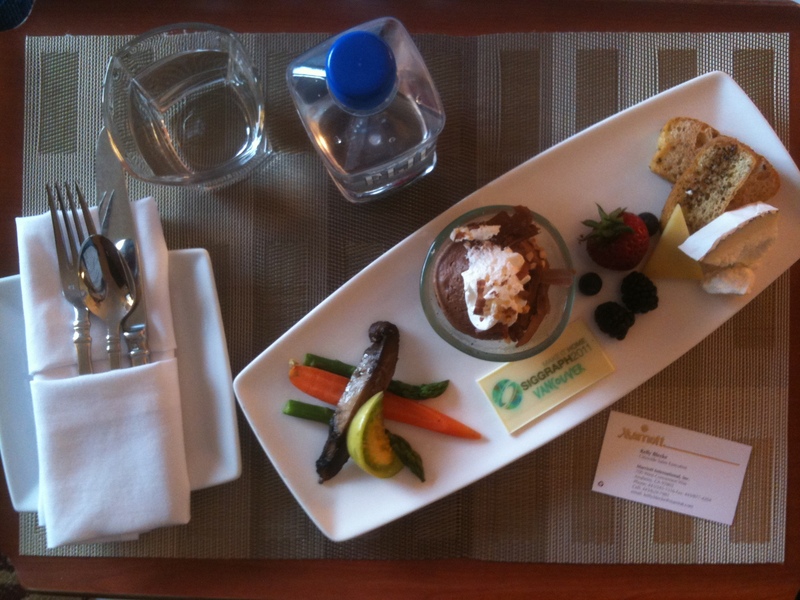 Marriott just sent up a tray with a slice of carrot, pre-crumbled cheese, chocolate pudding and an edible Siggraph logo. (Staying at Disneyland for business meetings, especially *real* business meetings, is actually pretty sucky).